I’m guessing this morning’s walk was a lot more fun for the dog than it was for me. 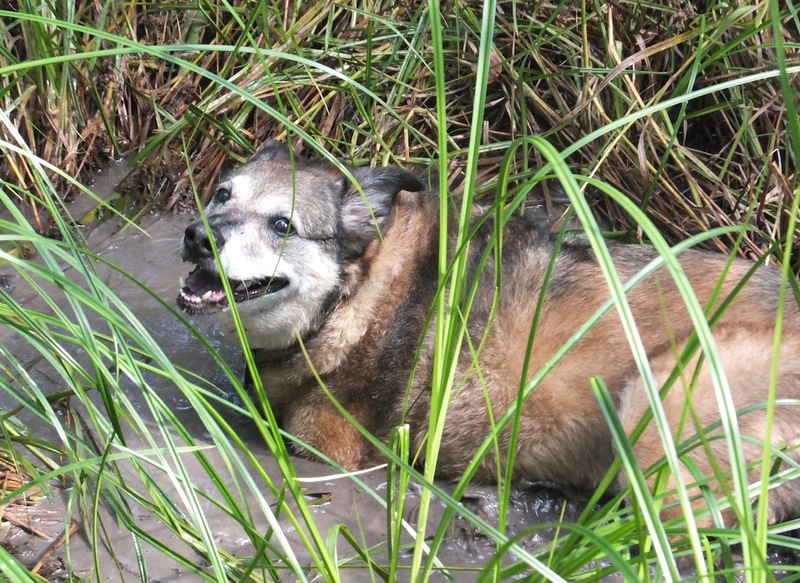 I’m not saying that a 45 minute jaunt down to the Whitemud Creek isn’t amusing, but it’s not a wallow in a mud hole, which is how Maggie chose to spend part of her walk. She loves this particular hole, which is somewhat hidden, and very often mud or water-filled, depending on recent precipitation. Maggie was as close to smiling as she ever gets (this side of a dropped salami.) After a shampoo in the backyard, she is now relatively clean and snoozing on a mat. I’m contemplating a much longer walk tomorrow. No mud holes.